Arguably the most luxurious and exclusive of all communities, Royal Palm Yacht & Country Club is a private country club community located in East Boca Raton, Florida across from the world renowned Boca Raton Resort & Club. Royal Palm Yacht & Country Club is a private invitation only Club, offering both golf course homes and luxury waterfront real estate with direct ocean access and no fixed bridges, just minutes from the Boca Inlet. Royal Palm's resort style amenities include a full-service yacht club, an 18-hole championship Jack Nicklaus Signature Golf Course, state-of-the-art fitness facility, multiple clay tennis courts, croquet courts, as well as several five-star dining options. While not mandatory to live in Royal Palm, Membership is exclusive and any new members must be nominated by at least two existing members. Furthermore, Membership in Royal Palm Yacht & Country Club is not limited to those that call the community home. Originally developed by Arvida in 1959, Royal Palm Yacht & Country Club has lived up to it's reputation as one of the most exclusive and beautiful communities in South Florida. Members at Royal Palm are greeted by name and treated with respect in a warm atmosphere usually reserved for close friends and family. Homes for sale in Royal Palm Yacht & Country Club range in size, architectural style, and location within the diverse community of waterfront and golf course homes. The exclusive community is spread over 450 acres and has 700 estates in total, many of which are on golf course or deep-water lots. 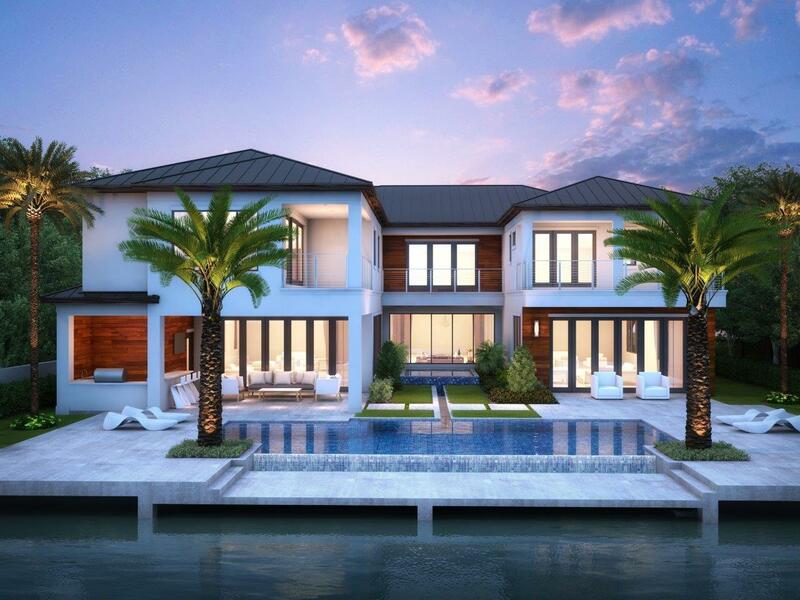 Royal Palm is internationally acclaimed as one of the most exclusive yachting communities in the country, where owners of waterfront homes can dock their mega-yachts directly behind their multi-million dollar property. Some of the larger estate homes are more than 20,000 square feet, and many residents have combined two, three, and four lots to construct these mega-mansions. Homes for sale in Royal Palm Yacht & Country Club range in price from $850,000 for an original ranch style home on a "dry lot" to over $12,000,000 for a new construction Intracoastal estate home.